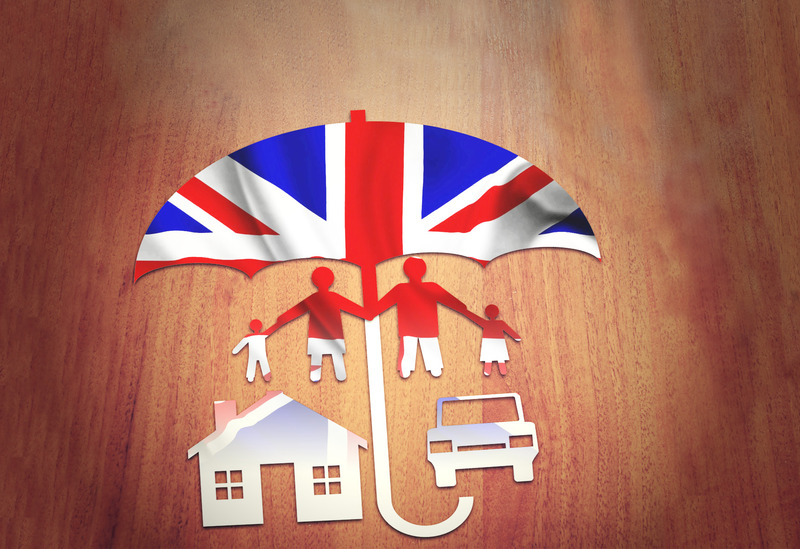 The UK Insurance Act 2015 (the “UK Act”), which comes into force in the United Kingdom in August 2016, represents the most fundamental change to English insurance law for more than a century. As many insurance and reinsurance contracts underwritten by Hong Kong insurers cover international risks (and are expressly governed by English Law), Hong Kong insurance lawyers would benefit from a working knowledge of the UK Act. Insurance contracts are based on the duty of good faith and the pre-contractual duty of disclosure this imposes. This requires an insured to disclose to the insurer all material facts affecting the risk before the insurer agrees to insure. A fact is “material” if it would influence a prudent insurer’s judgment whether to insure the risk at all, the premium to charge, or the terms on which to insure. If the insured fails to disclose a material fact and this induces the insurer to enter into the insurance contract, the insurer can subsequently avoid the contract ab initio (ie, treat the insurance contract as having never existed). The duty of disclosure rests on the premise that the insured has access to all information about the risk, whereas the insurer has none. This leaves the insurer reliant on the insured’s information to make an underwriting assessment. The pre-contractual duty of disclosure prevents the insured from taking advantage of this position. However, it also enables the insurer to be passive at the pre-contract stage. Further, the “all or nothing”, draconian remedy of avoidance, which leaves the insured entirely without coverage, is said to disproportionately imbalance the law in the insurer’s favour. failing that, to provide disclosure which gives the insurer sufficient information to put a prudent insurer on notice that it needs to make further enquiries for the purpose of revealing those material facts. This new duty, therefore, has a primary duty ((i) above) and a fall-back position if the primary duty is not complied with ((ii) above)). The primary duty replicates the current duty of disclosure. 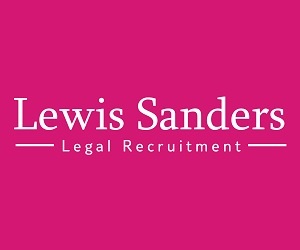 If, however, the primary duty is breached by the insured failing to disclose a material fact, the insured can rely on the fall-back position by stating that its risk presentation included sufficient information to put a prudent insurer on notice of the need to make further enquiries. This gives the insurer a more pro-active role at the pre-contract stage, by forcing it to ask questions about information presented by the insured, which need further questioning. To ensure the law is not imbalanced too far back in favour of the insured, however, the UK Act also requires the insured to provide its fair presentation of a risk “in a manner which would be reasonably clear and accessible to a prudent insurer”, thereby avoiding the insured simply dumping huge amounts of data on the insurer as a means discharging its duty. The result then, it is hoped, is to make the risk presentation by the insured and underwriting assessment by the insurer, a more cooperative and balanced process. if the insurer would not have entered into the contract at all, it may avoid the contract and refuse all claims, but must return the premium. This new set of remedies is perhaps the most significant change brought about by the UK Act. To the extent that it corrects this previously imbalanced area of insurance law, it is welcomed. a surveyor’s recommendations will be carried out by a certain date and complied with thereafter. Warranties in insurance contracts are types of risk control provisions relied on by insurers, to disincentivise the insured from acting in a way which increases the risk during the term of the insurance contract. The current law institutes this disincentive, by automatically discharging the insurer’s liability under the insurance contract, from the moment a breach of warranty occurs. This draconian result, however, has often been the subject of judicial criticism. Automatic discharge of the insurer’s liability from the moment a breach of warranty occurs, prevents the insured from remedying the breach. Further, termination takes effect even if the breach of warranty had nothing whatsoever to do with the loss claimed by the insured. The UK Act seeks to rectify this imbalance by reforming the law relating to warranties and other risk mitigation terms. Section 10 of the UK Act abolishes the rule of law which renders the liability of the insurer under the contract automatically discharged for breach of warranty. Instead, a breach of warranty only results in the insurance cover being suspended for the duration of the breach and re-instated once the breach has been remedied. The insurer will still be liable for losses occurring before the breach of warranty, or after the breach has been remedied. Section 11 goes beyond just warranties and applies more broadly to risk mitigation terms in an insurance contract. A risk mitigation term in this respect is: “a term of a contract of insurance, other than a term defining the risk as a whole, if compliance with it would tend to reduce the risk of ... (a) loss of a particular kind, (b) loss at a particular location, [or] (c) loss at a particular time”. Section 11 provides that if loss occurs which is recoverable under the insurance contract, but the insured has not complied with a risk mitigation term in the insurance contract, the insurer is not permitted to evade liability for the loss, if the insured proves that “the non-compliance with the term could not have increased the risk of the loss which actually occurred in the circumstances in which it occurred”. In other words, an insurer is prevented from relying on the breach of a risk mitigation term in the policy to deny a claim, if that breach is entirely unconnected with the actual loss which the insured has suffered. For example, if a term requires the insured to maintain an operational burglar alarm at a premises, but the insured fails to do this, the insured should not be prejudiced if it suffers a fire loss which has nothing to do with the risk of burglary. There are, however, several confusing aspects with the new s. 11. For example, it specifically carves out from its application, contractual terms that define “the risk as a whole”. However, the meaning of a contractual term which defines “the risk as a whole” is entirely elusive. Furthermore, the application of s. 11 to terms which reduce the risk of loss “of a particular kind … at a particular location ... at a particular time,” again makes it difficult to apply in practice. Of all provisions in the new UK Act, s. 11 is most likely to generate confusion (and hence clarifying litigation). In the event of a fraudulent claim, current case law leaves it unclear as to whether the insurer’s remedy is not to pay that one fraudulent claim, or to avoid the contract altogether (thereby not only refusing to pay the fraudulent claim, but also recovering all non-fraudulent claims already paid). The UK Act rectifies this confusion, entitling the insurer, in the event of a fraudulent claim, not to pay the fraudulent claim and have the option to elect to treat the contract as terminated from date of the fraudulent act. If the insurer elects to terminate, it will cease to be liable for any loss arising from an event occurring after the fraudulent act (but continue to be liable for losses arising from events before that date). Further, in the event of such termination, the insurer need not return premium. The UK Act prevents any contracting out from its provisions as they apply to consumer insurance contracts. It is, however, open to the parties to commercial insurance contracts to contract out of the provisions in the UK Act referenced in this article. the relevant term must be clear and unambiguous as to its effect. In determining whether these requirements have been met, the characteristics of the insured persons and the circumstances of the transaction are to be taken into account. What does the UK Act mean for insurers in Hong Kong? The UK Act applies to all insurance and reinsurance contracts (and variations thereto) concluded after 12 August 2016, which are governed by English law. 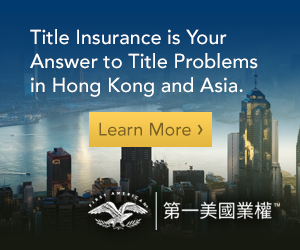 Its application to the Hong Kong insurance market will therefore be immediately relevant to insurance or reinsurance contracts entered into post-August 2016, where English law is specifically adopted to govern the contract. 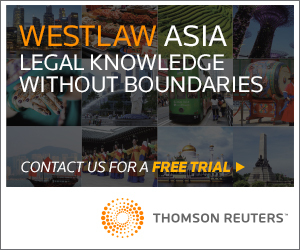 Since many insurance contracts underwritten in Hong Kong are linked to international trade or provide coverage for international risks, they often adopt English law as their governing law. Hong Kong insurers writing insurance/reinsurance contracts governed by English law (and their lawyers), would therefore need to be familiar with the impact of the UK Act. The United Kingdom is not the first jurisdiction to change its insurance law in this direction. Australia and New Zealand have long since had similar legislation. Further, the United Kingdom is already aiming to go further with its insurance law reforms by introducing legislation enabling insureds to claim damages from insurers for unreasonable delay in payment of claims under insurance contracts. 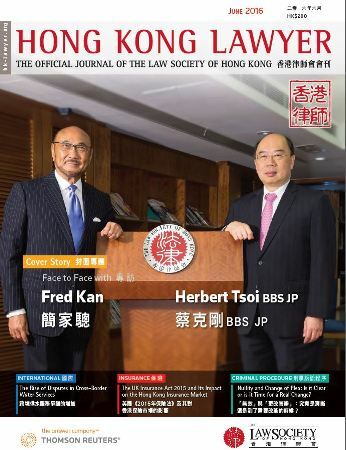 In the longer term, therefore, other jurisdictions in the Asia Pacific which follow common law (like Hong Kong, Singapore and Malaysia) may also need to consider taking the same path as the United Kingdom and other jurisdictions in order to ensure their insurance legislative frameworks remain aligned with international standards. As such, a general awareness of the UK Act will prepare Hong Kong lawyers to advise the insurance sector for debates which no doubt lie ahead. Mr. Gregoire is the General Counsel of AIG Insurance Hong Kong Limited, responsible for all legal, regulatory and corporate governance issues at the company. He double-hats as commercial lines legal counsel for AIG across the APAC region. Mr. Gregoire is also an Honorary Lecturer at Hong Kong University where he serves as a part-time tutor for the Commercial Dispute Resolution Elective on the PCLL course. In his spare time, he writes fiction and has published two novels.